non-GMO, organic, and / or biodynamic ingredients. Most initial recommendations are kept in stock in the office. More specialized recommendations that might not be kept in stock are available through the links on this page. 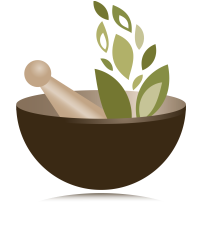 And as a service to Dr Dana's patients who often come in from quite a distance, she offers online refills for basic and speciality supplements through Wellevate (the NEW online platform for Emerson Ecologics), Doctor's Supplement Store and Restorative Formulations. Simply click the appropriate links on the side bar to the right or below. ​A few medicines are not stocked in any of these online resources and are only obtained by special order through the office*. If you have difficulty reordering an item you have been prescribed, please call the office for specific instructions. Please note: Patients should call us at 860-217-1171 first, to obtain the code required to set up a patient account to order from Doctor's Supplement Store and/or Restorative Formulations. Dr Dana proudly supports New Earth, and their fantastic wellness and optimal aging product line (She has been taking these products herself for over 25 years!) Click link below to set up an account to purchase directly. The above Butterfly links you to Dr Dana's personal Wellevate store which carries nearly all of the items that she would have in stock in her office, with the exception of those mentioned below for Doctors Supplement Store, and the New Earth product line, which needs to be obtained in-office, or through the link, below left. The above link to Doctors Supplement Store contains most of Dr Dana's in-office recommendations, including PEKANA, CHK and some RESTORATIVE FORMULATIONS products. This link has the entire line of Pure Encapsulations products as well. 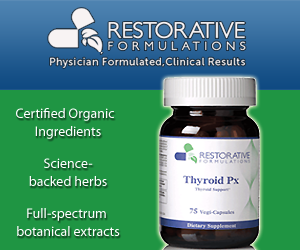 The entire line of Restorative Formulations Products are available through the above link. Dr Dana highly recommends Vital Choice as her own trusted source to order wild seafood and other organics! *Please note that Dr Dana is currently transitioning to an online dispensary. Patients are welcome to pickup in office for current stock, with the expectation that future orders may need to be placed online using our patient link. (It's EASY!) For anything purchased online, returns are as per the policy of that online store. For items sold in-office, we will take back any unopened item, within 30 days of purchase. All returns carry a 20% restocking fee to help defray our handling costs.